The royal editor of the News of the World has been jailed for four months for plotting to intercept voicemail messages left for royal aides. Clive Goodman, 49, of Putney, London, tapped into several hundred messages, the Old Bailey heard. Glenn Mulcaire, 36, of Sutton, Surrey, was jailed for six months after pleading guilty to the same charge. The paper's editor Andy Coulson later resigned, saying he took responsibility for the scandal. Mulcaire, a private investigator, also pleaded guilty to hacking into the messages of sport and fashion figures. Sentencing Goodman, Judge Mr Justice Gross told him: "This was low conduct, reprehensible in the extreme." The case was not about press freedom, he said. "It is about grave, inexcusable and illegal invasion of privacy." To former professional footballer Mulcaire, the judge said: "This was serious criminal conduct to which we must not become numbed." He added: "Neither journalist or private security consultant are above the law. What you did was plainly on the wrong side of the line." Speaking before sentencing, prosecutor David Perry QC said the pair had used mobile phone numbers and secret codes used by network operators to hack into the voicemails to see if there was any information of interest. The court heard that Mulcaire had also hacked into the messages of supermodel Elle Macpherson. When she suspected messages were being listened to, she was so afraid she had her home swept for bugs, Mr Perry said. Details of the tapping scheme, together with network passwords - including a voicemail pin code for Ms Macpherson - were found in Mulcaire's notebooks. Mulcaire also hacked the phones of publicist Max Clifford, MP Simon Hughes, football agent Skylet Andrew and the Professional Footballers' Association's Gordon Taylor. On the tapping of royal aides, the investigation was originally sparked after Prince William became suspicious about a November 2005 News of the World article concerning his knee injury. Mr Perry said calls had been made to access messages for Prince Charles's communication secretary Paddy Harverson, his aide, Helen Asprey, and Jamie Lowther-Pinkerton, private secretary to Princes William and Harry. All three realised something was wrong in December 2005 when their new messages were being shown as old, he said. Of 609 calls made to access the three's voice messages, 478 were made by Goodman and 122 by Mulcaire, Mr Perry said. 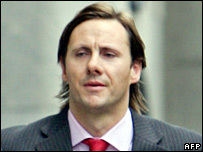 Goodman and Mulcaire were arrested at their homes on 8 August 2006 and charged the following day. Both pleaded guilty at an earlier hearing to conspiracy to intercept telephone calls "without lawful authority" between 1 November 2005 and 9 August 2006. Mulcaire had a year's contract with the News of the World for "research and information services", Mr Perry said. 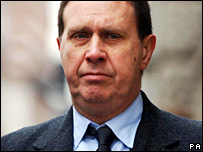 The contract was worth £104,988 and Mulcaire had also received £12,300 in cash from the newspaper, the prosecutor added. Mr Perry said it was ironic that Mulcaire ran a company - Nine Consultancy - that offered a service protecting clients from media intrusion. John Kelsey QC, defending Goodman, said his client was "a man of the highest integrity" who had "departed from a lifetime of high standards". Neil Saunders, for Mulcaire, said his client accepted his conduct was morally and ethically wrong and represented "a gross invasion of privacy". Lawyers for the pair have previously apologised to the Prince of Wales, Princes William and Harry.